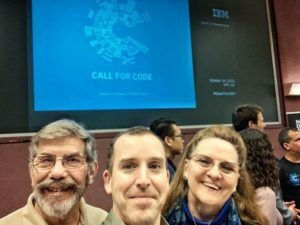 MRCL attended the inaugural IBM Call for Code initiative to develop software-based solutions for a wide range of societal challenges. The event was hosted at IBM’s Research Triangle Park (RTP) on Tuesday, October 16th as a one-day session to support Hurricane Florence-impacted communities. Proposed solutions included Blockchain, Watson Analytics, and Smart Bots to collect and manage emergency data. Attendees also had the opportunity to help ready solutions for development and deployment. Aside from learning novel ways to leverage technology to support our mission, MRCL strengthened relationships with new and existing partner organizations.